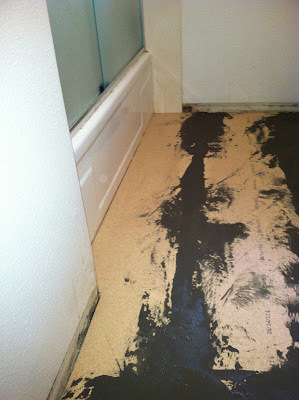 This was a simple demo job. and trimmed back the plants. 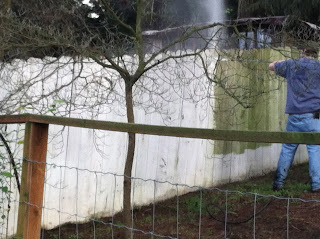 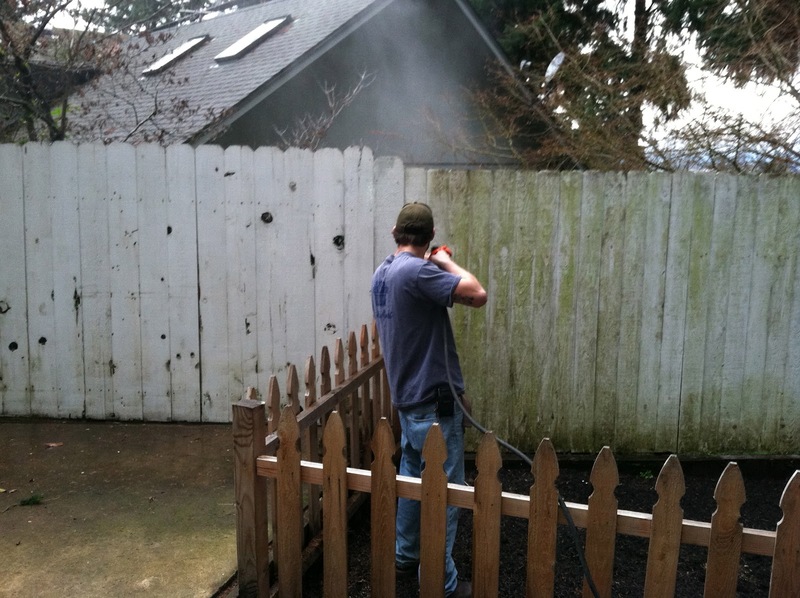 Consider It Done Construction can pressure wash prior to applying paint or stain. 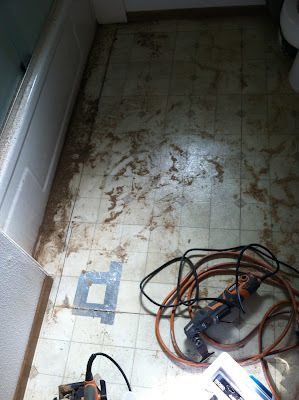 Sometimes (like this job) we were hired to simply clean up using our high-powered machine. Look for the unpainted wood. 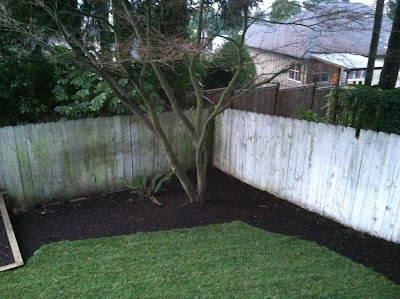 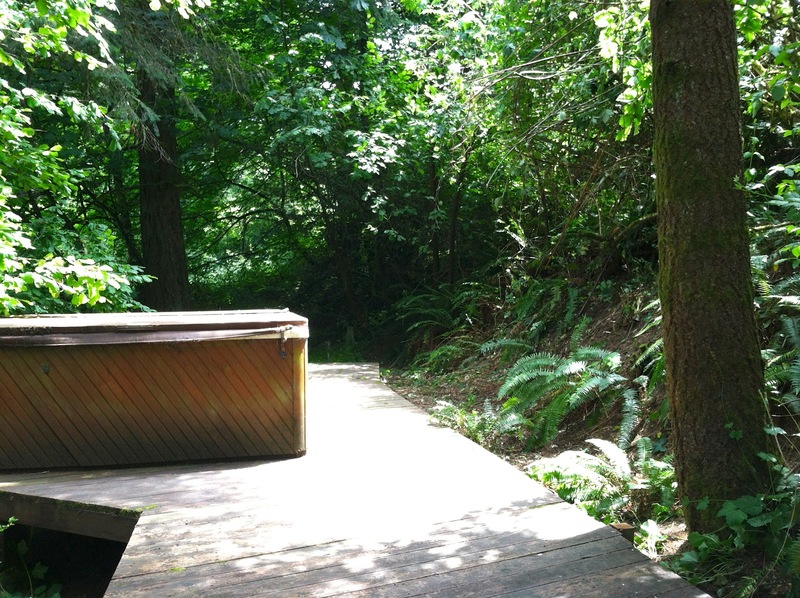 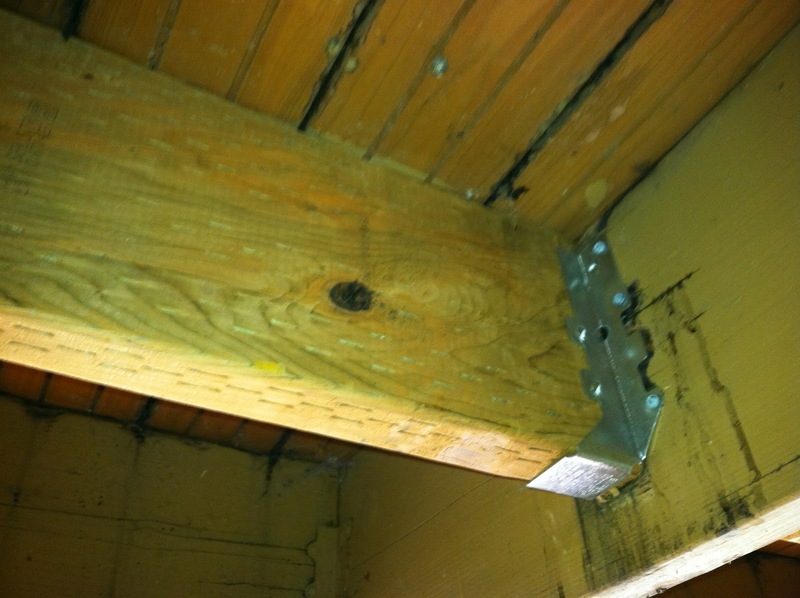 It's visible in these photos where old rotten wood was replace with new treated outdoor wood. 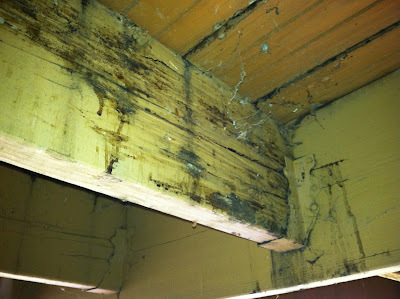 Old, damaged wood needing removal. This unusual project was for an elderly customer who was concerned her cats would escape. 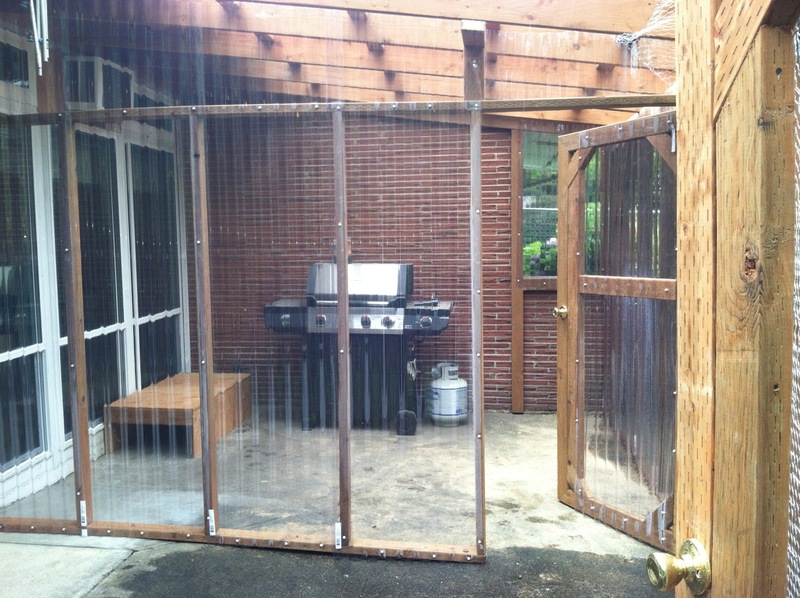 The customer wanted a safe place for the cats to enjoy both a sunny interior area, and an exterior space. 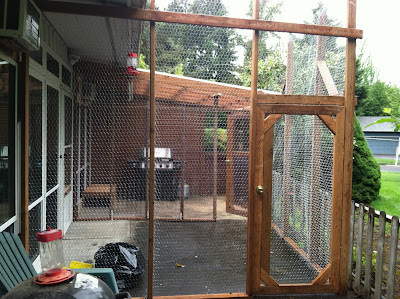 Consider It Done Construction was able to build the cattery without substantially changing the rental residence. 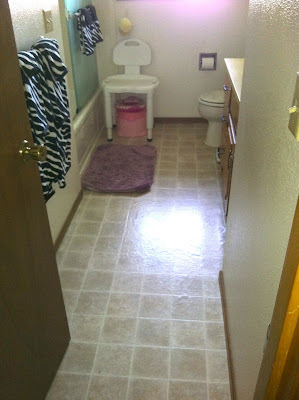 Notice the covered area to the back? 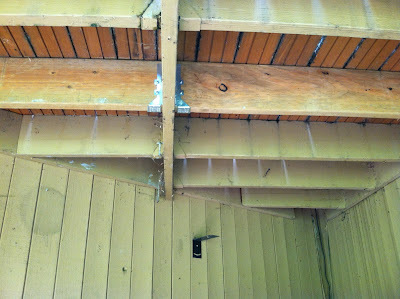 Here's a closeup of the covered interior area. 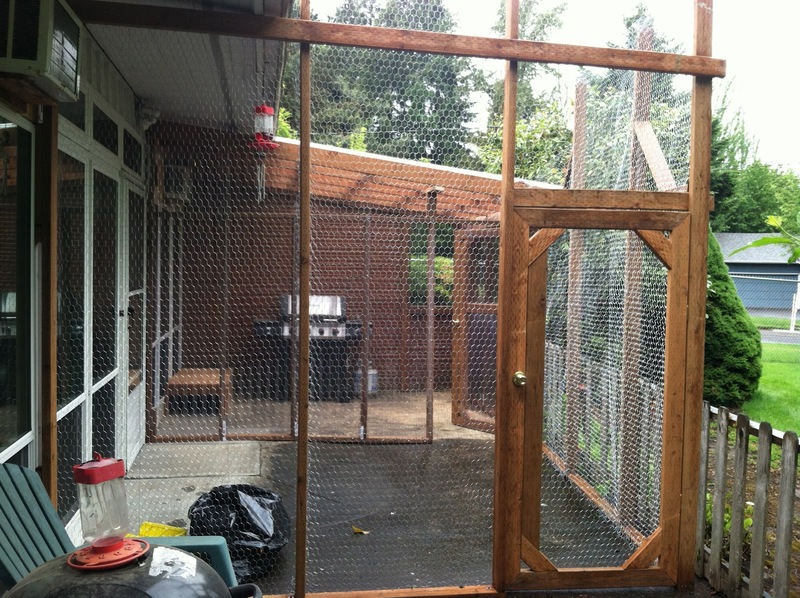 When our customer moves in the future, the entire cattery will be demolished. 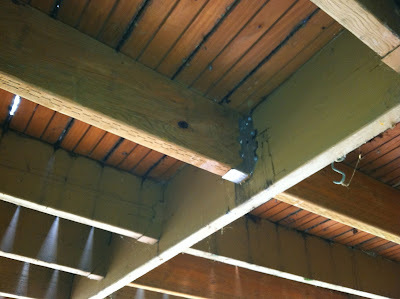 Leaving a typical covered patio. 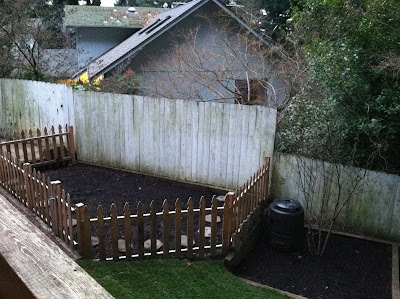 It was a pleasure to construct a temporary space so the cats' safety was no longer a worry. 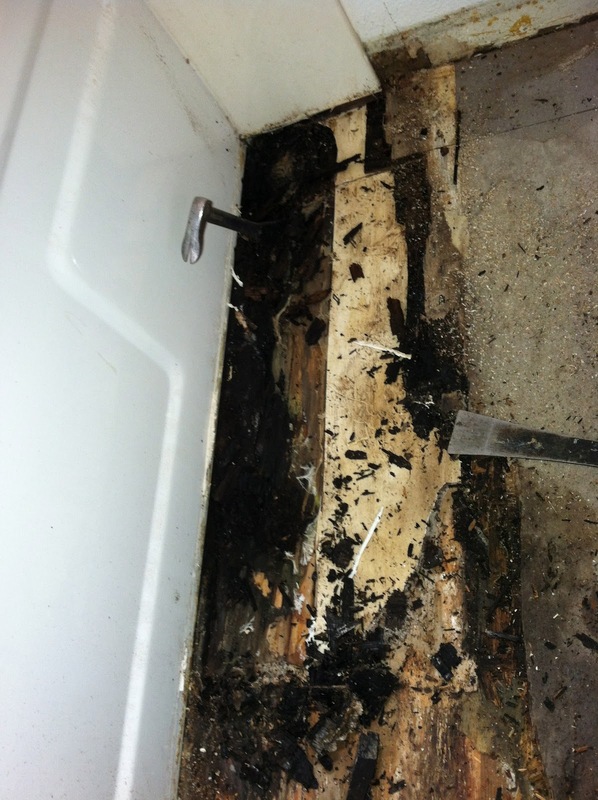 This dry rot repair ended up being more extensive than was apparent initially. The tub area was affected. During demo. 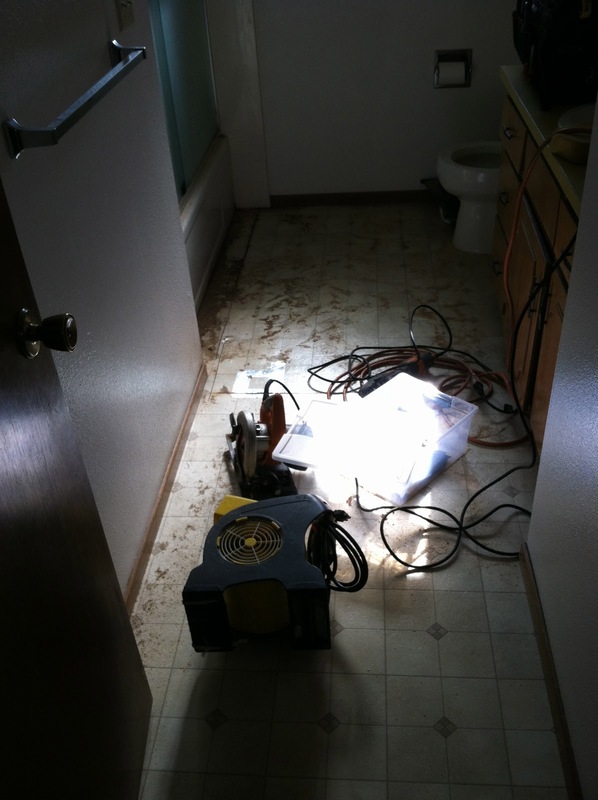 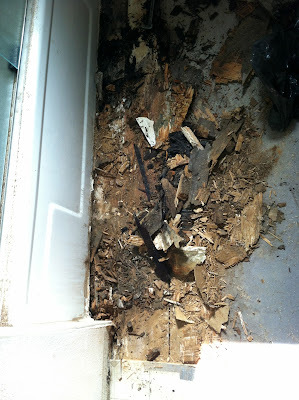 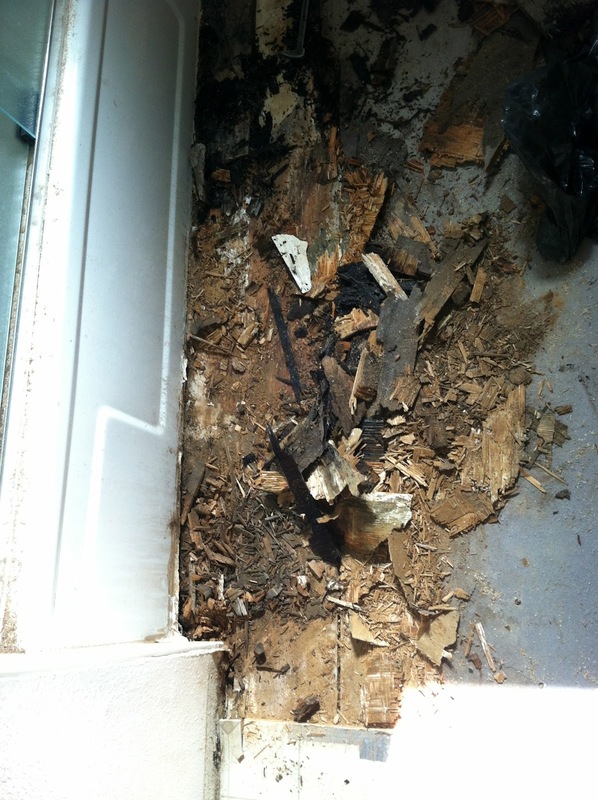 Extensive dry rot was found in the floor sheeting, sub floor, and framework. 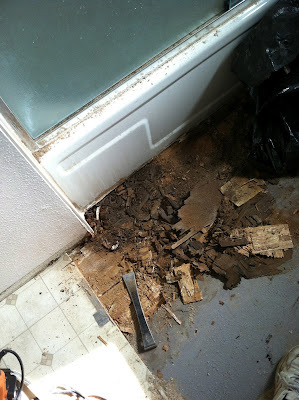 Still doing demo to find sound wood. The pry bar was easily stuck into the damaged wood beneath the tub. 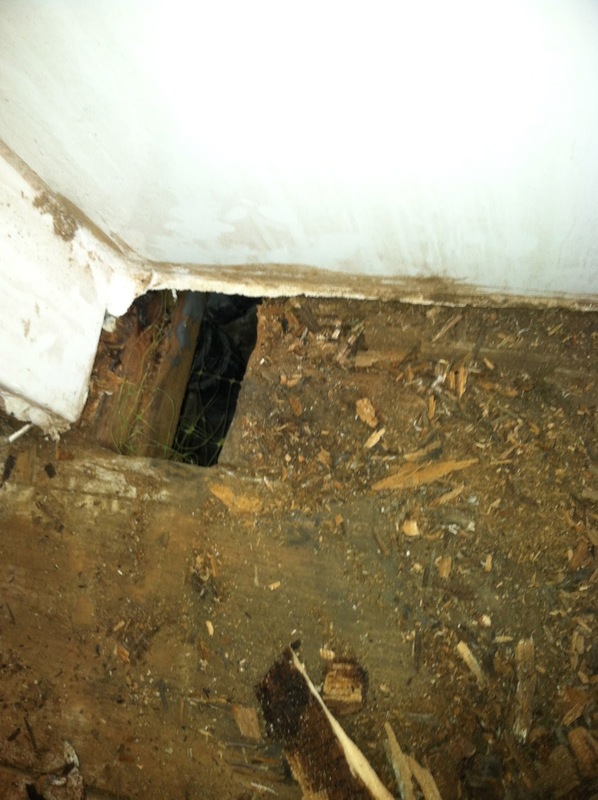 Notice in this hole, under the tub, the joist holding the tub is also damaged. 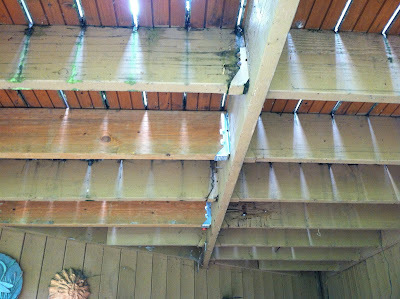 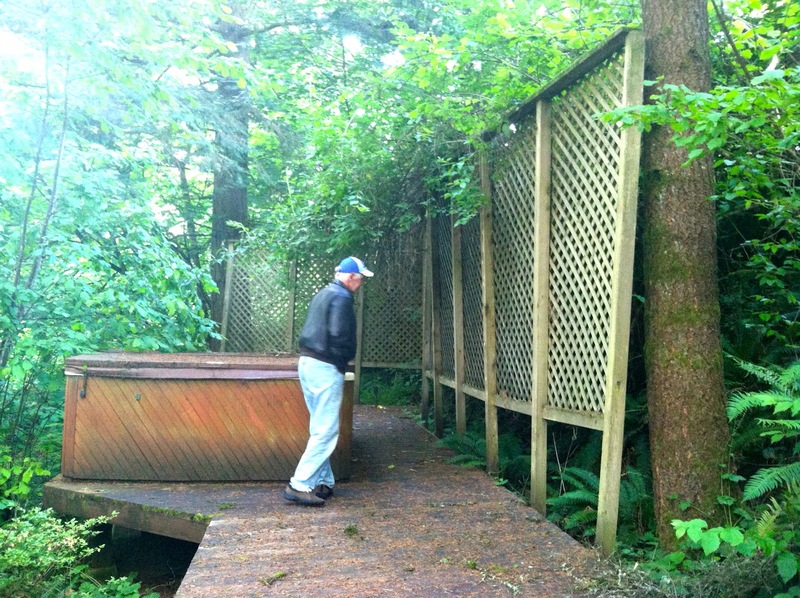 All that wood, and the supporting structure underneath were repaired and reinforced. 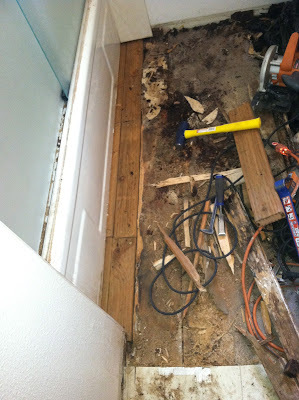 After repairs, the floor was sheeted with new wood, and prepped for vinyl. Consider It Done Construction worked as quickly as we could on this project, because this was the only bathroom in this small home.